Anoki (Derby) Is this your restaurant? Went for a celebration meal, food was good but seemed we were forgotten at times. Nice if there is a crowd and you don’t want to be bothered but we had other plans so we’re watching the clock towards the end. Going to Anoki for a meal was indeed a very pleasurable experience. We were greeted as we walked in and shown to our table with no delay. 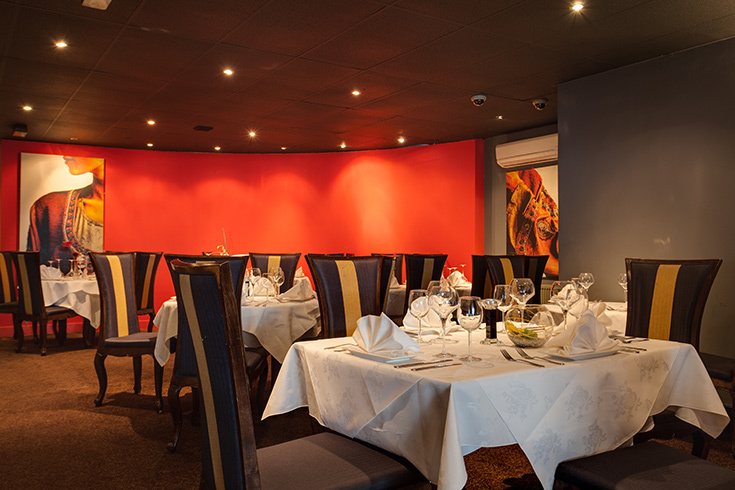 ( booked in advance) the friendly and happy staff took our order and made sure we were comfortable where we were sat. The meal was “out if this world” very tasty and served hot to the table..
Everything was lovely. The only thing was we found the music to the films projected on the wall was a little loud and the room was a little cold. From start to finish our experience in Anoki was definitely outstanding. Our waiter Abraham was brilliant really nice man. It was our engagement meal and both of us loved the food and our night. Thank you for a wonderful evening. Had a lovely meal, great service too! Food was fantastic, service was great made to feel very welcome they can't do enough for you. 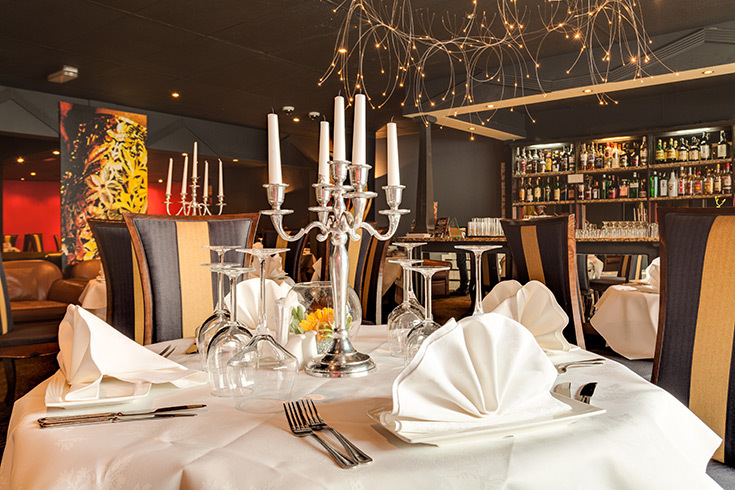 The restaurant is beautiful with a great atmosphere & I would highly recommend this place. Menu not large but the selections we made were delicious and well presented. Rather expensive even though we had the two for one offer. Service was friendly and welcoming but difficult to attract their attention at times. Very happy with the food! Will book again! I've eaten here at Anoki before and I have always had a very good meal, this time was no exception. 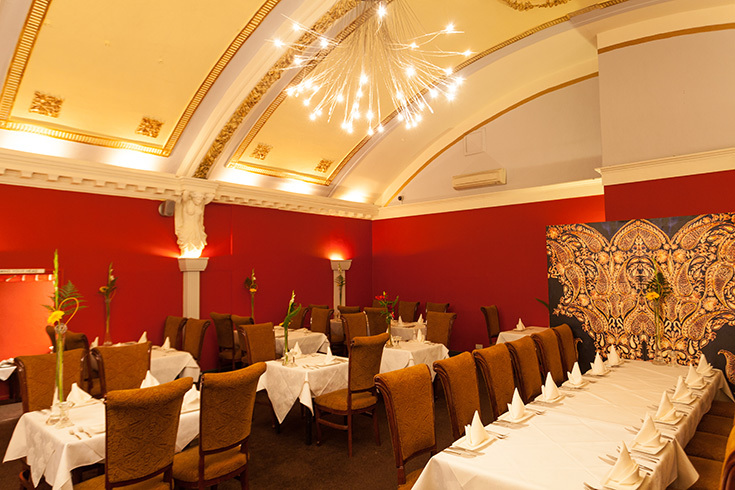 The staff were attentive, the food beautiful and the service was great from booking to payment. Highly recommend the Chicken Jalfrezi! Great atmosphere at Anoki, the service and food did not disappoint! On the pricey side compared to another great restaurant nearby. Just like to say that the service and food was outstanding! I would recommend this restaurant to anyone. Absolutely excellent. Staff and food are 1st class. Birthday meal for iur son and they presented with a cake at the end of the meal. Brilliant place. Stunning meal, service was fantastic & can't wait to return! Amazing Indian! 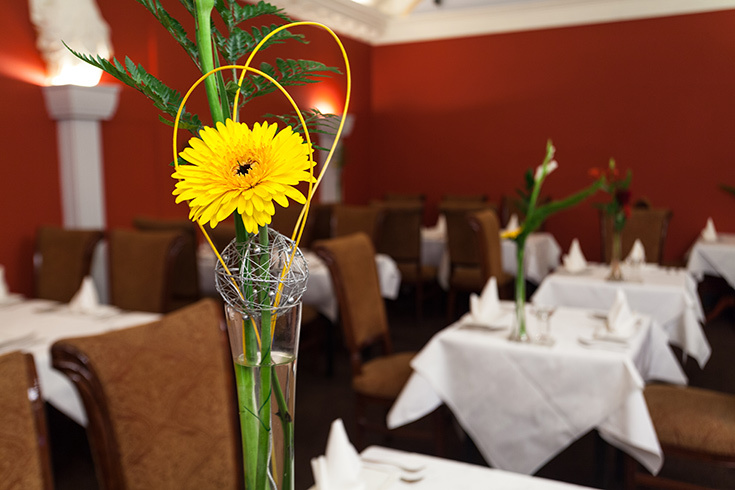 Top notch Indian cuisine, a nice variety of dishes to suit. Been to both Anoki Derby and Nottingham and couldn't fault either. 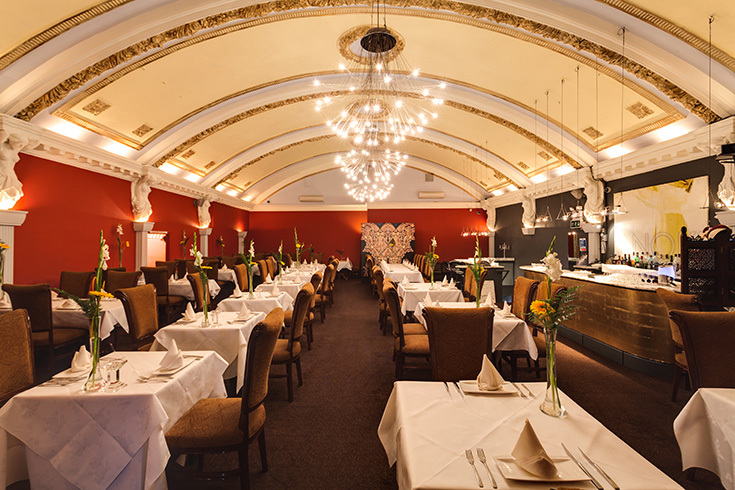 A wonderful venue with a stylish atmosphere and very efficient staff. The food is well presented, tasty and filling. What the menu lacks in quantity it makes up for in quality. Though I'm not usually a fan of Indian cuisine, I'm certainly a fan of Anoki! Lovely place - lovely people- and lovely food although the choice of menu this time was not as good as before although we were told the chef could do anything we require! Lovely place - gorgeous food and great service. We have visited Anoki Nottingham and Anoki Derby now and the service and food is high across the board. Lovely food and a stunning restaurant. Will be going again. Only visited this restaurant as we were walking past, and what a lovely surprise it was. Good food, lovely hosts and at a more than reasonable price. 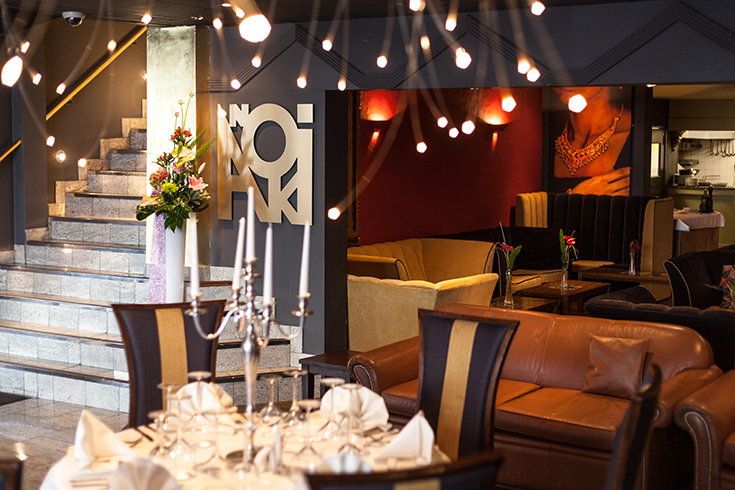 Award-winning Anoki Indian restaurant in Derby was the first of three restaurants to be opened across the East Midlands by restaurateur Naveed Khaliq. 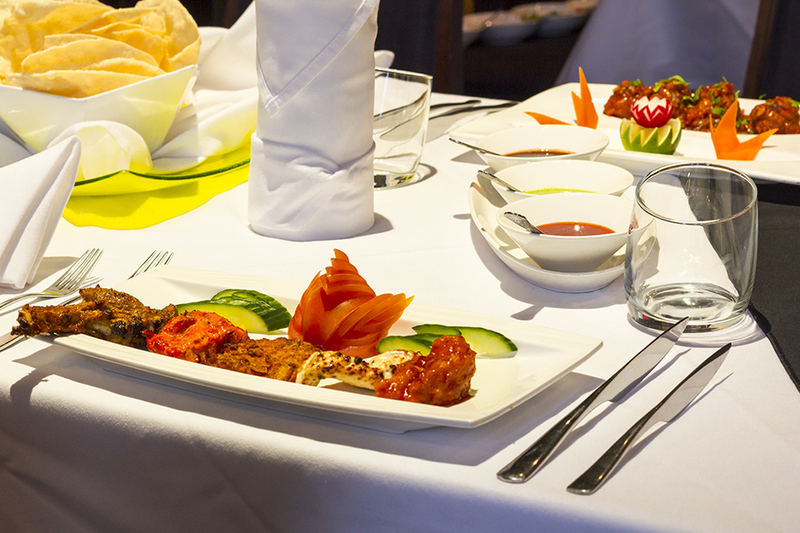 A world away from the traditional curry house, Anoki, situated on London Road within walking distance of the train station and the Westfield shopping centre, combines the finest Indian cuisine with superlative service to create the ultimate dining experience. Anoki appears inconspicuous from the outside with its granite exterior and clean-cut branding, but take a step inside and you are transported to a world of luxury and opulence. Waiters dressed in traditional outfits wait to welcome you before leading into one of the most stunning dining rooms in the region. An arched, baby blue ceiling dripping with sparkling light fixtures, gold leaf highlights takes your breath away as you enter the grand dining room. The walls are adorned with original pieces of artwork and stunning carvings and sculptures, all lit to create the most dramatic effects. High-backed chairs, soft lighting and an intricately moulded ceiling make it a comfortable restaurant where you could spend hours. And now, diners can relax before their meal in a new lounge area, which has just been unveiled! Renowned for its attention to detail, Anoki attracts visitors from around the globe to sample its distinctive and unique flavour and booking is highly recommended. 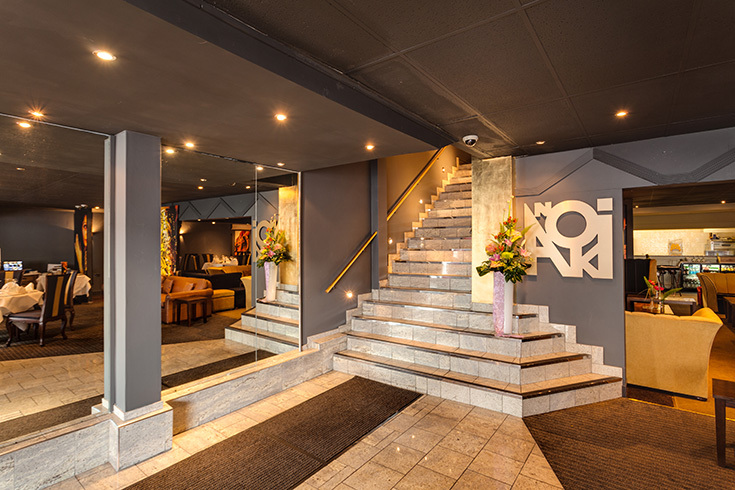 Its reputation for its indulgent menu and opulent surroundings has earned Anoki national recognition in The Times Newspaper and Toptable’s Top 100 Hidden Gems, as well as a whole host of local awards. In addition, Anoki is one of an elite group of establishments to be featured in the acclaimed Michelin Guide, which features a selection of the best restaurants and hotels across the UK. The food on offer matches the surroundings perfectly. Working with head chef, Rakesh Kumar from Delhi and his own father, Naveed Khaliq has developed a menu that offers an authentic insight into Indian cooking, taken from a famously rich and diverse culinary tradition. The chefs at Anoki are passionate about the food that they create and only use the finest and freshest ingredients and spices to create each dish. 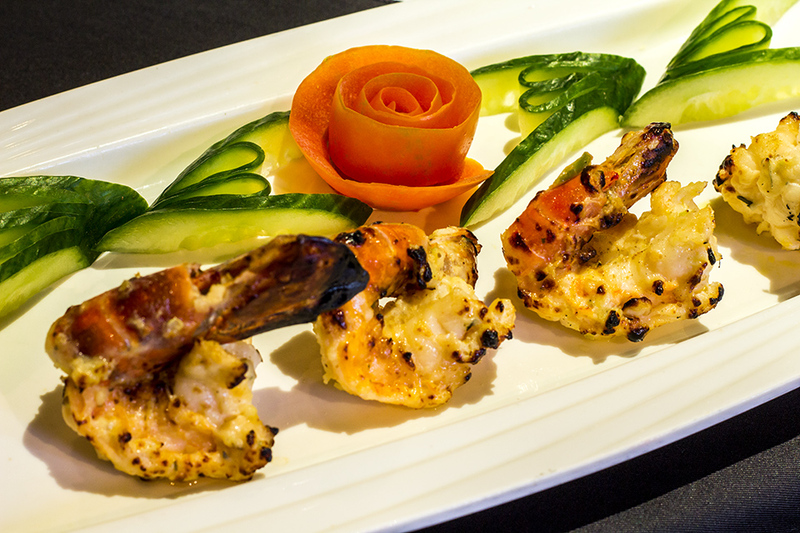 The menu is packed with Indian classics, which will have your mouth watering in seconds. 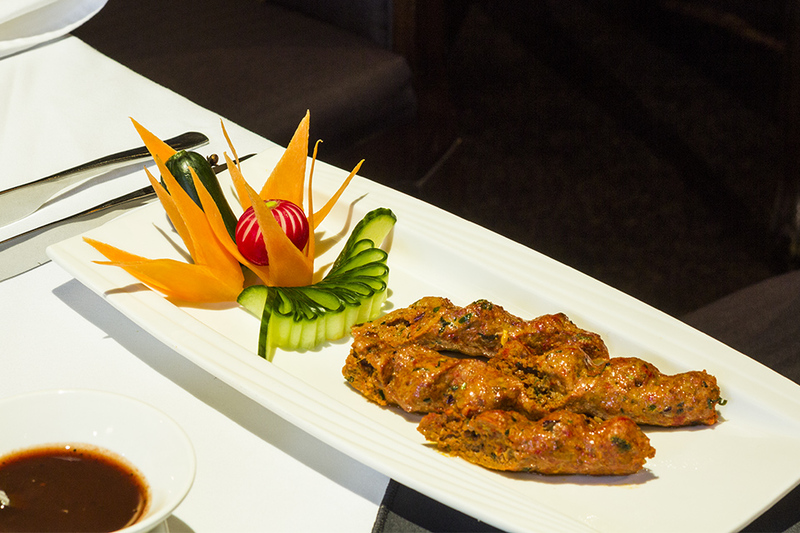 Popular choices include the Lamb Haandi as well as the Chicken Tikka and Mirch Masala Chicken. Each dish is made to order and is complemented by a carefully selected menu of wines, champagnes and beers from around the world. Diners should be aware that on Friday and Saturday evenings Anoki does not take bookings between 8.00pm and 8.30pm. Their dishes vary weekly, but here's an indication of the dishes you can expect. Just pick up from the fridge & GO!